While we learned the basics about RGB colors, that constitute portions of Red, Blue, and Green—what we need to know is that there is so much more to learn about them. Did you know that there are two ways in which individual RGB color values are expressed? The most common way is using decimals. But have you run into color values such as FF0000 or 006699? These six digit values that combine number and alphabet characters are hexadecimals. Want to play a Jeopardy-like game using PowerPoint slides? Yes, this is absolutely doable but making PowerPoint slides with all the interactivity and layouts takes too much work. Fortunately, we have done the work for you. 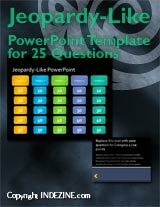 Just download our Jeopardy-like 25 (5x5) question PowerPoint template, replace the placeholders provided for questions, answers, and categories - and you're done! You'll still need a real human being to track scores - and you could soon be playing this amazing game as part of a fun exercise, a training program, or even a quiz show. This template is entirely Theme aware. Change your Theme colors and fonts - and everything automatically updates. We tested this template in both Windows (2007, 2010, and 2013) and Mac (2008 and 2011) versions of PowerPoint. Jamie Garroch is the founder of YOUpresent, a PowerPoint add-in and presentation design agency. YOUpresent provides a suite of off-the-shelf add-ins plus a custom add-in design service for organizations wishing to extend the functionality of PowerPoint or other Office apps. That can be anything from adding a single button to apply a corporate style, to a fully loaded ribbon with custom tools tuned to the organization’s workflow. Known as “extensibility,” Jamie is a passionate evangelist of this relatively unknown productivity feature of Microsoft Office. In this conversation, Jamie talks about the new Custom Colors feature in his YOUtools add-in for PowerPoint. Two weeks ago, Mary Jennings Hegar was a textbook definition of a long shot: a rookie Democrat running in red state Texas’ 31st Congressional District against John Carter, a Republican who has held the office for 15 years. Although MJ, as she likes to be called, had a distinguished career as a U.S. Air Force Medevac pilot in Afghanistan (winning a Distinguished Flying Cross and Purple Heart when her helicopter was shot down), she was a political unknown. But last week, after she released a campaign video that went viral with nearly 4 million views, she was all over the media. Read more with Jerry Weissman. This is a guest article by Bess Gallanis of Speaking with Power and Persuasion, an executive communications consulting firm based in Chicago. 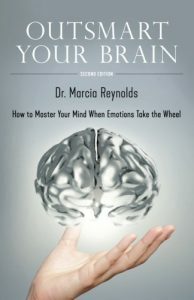 She is a communication coach, speaker, journalist, a student of yoga and insight meditation and the author of Yoga Chick (Warner Books, 2006). For more than 25 years, public and private company CEOs, senior executives, portfolio managers and financial advisors have sought out Bess to help them develop their leadership voice and to make an impact through skillful communications. In this article, Bess talks about how a story can endure. Bess Gallanis explores stories, and how you can leverage the power of storytelling so that your story is better. I just started reading Marcia’s book, and have to pause the reading so often to contemplate on her wisdom. Once you have made Guides visible on your PowerPoint slides, they show up in the same position on all other slides within the presentation. You'll find that only two Guides, one horizontal and one vertical Guide are visible at first, and these two Guides intersect at the center of the slide. Most of the time, this might work for you, but you can actually add more Guides since these can help in positioning slide objects better across successive slides. Shapes are the building blocks of whatever you create in PowerPoint. In fact, even a text box that you add to your slide is essentially a shape with a No Fill attribute. Once you get proficient with shapes, you can do so much more. For example, you can combine multiple shapes to create fancier shapes. However, you need to start with the very basics, and there's so much to learn even at this foundation level. The first task you need to do is to insert a shape. Fortunately, PowerPoint makes it easy to do this task. Merge Shape commands are essentially five commands that work with shapes, text and pictures. Using these commands, you can play with shapes, text, and picture—and merge them, or subtract one object from the other. The results can be fascinating—and playing with the Merge Shape commands can be addictive.